The woman interviewed claims that she no longer feels safe.Perhaps she was just given a wake up call.Many people are of the opinion that if it doesn't affect them then it just doesn't matter.When the gang war was in full swing in Vancouver and it's many suburbs a lot of people were of the same opinion.Then the bullets began to fly in any and every direction.It's not a good thing to have the violence affecting people that have no involvement but it does seem to wake everyone up to the fact that real people are dying real deaths.People in the drug world are just people,like everyone else.The first time you get shot at or just have a gun in your face is frightening.Like anything else,each time it gets easier and soon is just another thing to deal with.This is the human experience.The violence is not caused by the effect of the drugs.It is the result of the power and money that their prohibition brings to the picture.This is an ever escalating situation and it will only continue to get worse with each passing year.The harsher the way the law is applied the harsher the people that are involved in the traffick.This is also human nature and anyone that's been involved in the scene for any length of time will tell you the exact same thing.Just look at Mexico and what has happened since the army got involved.That can easily be the story in the US as well.There is already talk on some right wing sites about asking the army to take over.It has happened on the border already and there is already talk of the violence spilling over.Is it a response to the army being present or is it the other way round? 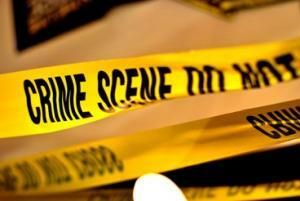 http://blog.al.com/spotnews/2012/08/man_killed_by_hueytown_police.html#i... Details are scant a this point. Nothing about what circumstances led to the undercover officers bing in the area, what drugs the decedent might have been in possession of or why cops open fire. http://blog.al.com/spotnews/2012/08/man_killed_by_hueytown_police.html#i... Details are scant a this point. Nothing about what circumstances led to the undercover officers being in the area, what drugs the decedent might have been in possession of or why cops opened fire.